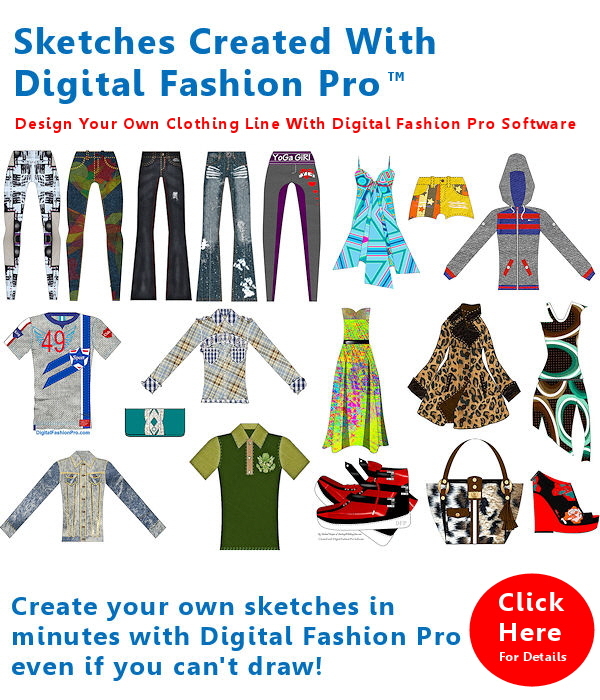 Digital Fashion Pro For Fashion Designing Works on Windows & Mac OS. See Detailed Requirements for each below. During checkout you will be asked which version you require. You must have a PC, Laptop or Surface Pro running either Windows XP, Windows NT, Vista, Windows 7, 8, 8.1, 10 to use Digital Fashion Pro. You also need 8 GB of free disk space on your hard drive. Windows Media Player for the Video Tutorials that will take you step by step through designing your first garment and Adobe Reader. Microsoft® Windows Vista™ , Windows® XP, with latest service packs installed, Windows 7, Windows 8 pc’s and laptops, 8.1, or 10. Each computer must have its own copy / license of Digital Fashion Pro. First you must have an Intel Mac OS X Operating System with OS 10.7 or Higher Computer or Laptop. Digital Fashion Pro will be sent you on a Digital Fashion Pro USB Flash Install Drive. During checkout, be sure to select Mac Option. * Digital Fashion Pro V8 is required to use any Digital Fashion Pro Upgrade Library.